Looking at the results delivered by Facebook Inc (NASDAQ:FB), you would be surprised to learn that Facebook stock is a “battlefield stock,” finely balanced between buyers and sellers. But it is; FB stock has gone precisely nowhere since the beginning of the year, as public figures debate the main service’s place in the world. The numbers by themselves scream buy, buy, buy. Last year, the company posted $15.9 billion of net income on $40.6 billion of revenue, meaning 37 cents of every dollar hit the bottom line. It spent $6.7 billion on capital goods last year and it will spend $14 billion more this year. It has no debt, zero, nada. Revenue growth came in at 47%. As for operating cash flow, that’s going up like a rocket, from $10.3 billion in 2015 to $24.2 billion last year. Who wouldn’t want a piece of that? Why Sell Facebook Stock Now? There is a rule in investing that you buy tomorrow, not yesterday. Facebook stock is now one of the “cloud czars” — the five companies whose networks of cloud data centers dominate the world economy. The question is whether it can keep those clouds filled. So far, the answer has been yes, but there are disquieting signs. The main FB service seems to have reached its growth limit, as teenagers abandon it. Can Messenger, Instagram and its other offerings keep growing despite that? Unlike the other cloud czars, Apple Inc. (NASDAQ:AAPL), Alphabet Inc (NASDAQ:GOOG, NASDAQ:GOOGL), Microsoft Corporation (NASDAQ:MSFT) and Amazon.com, Inc. (NASDAQ:AMZN), FB does not sell products. It doesn’t have an enterprise presence. It no longer even lists the Oculus Rift, its virtual reality headset, on its products page, and the product is not financially material, despite costing $2 billion in 2014. As a services company, Facebook is thus far more dependent on its reputation than its peers. That reputation is currently being trashed by people like former co-founder Chris Hughes and early investor Roger McNamee, who now considers its business model a threat. And it is. Facebook, along with Google, is now one of the world’s most dominant media companies. Yet it produces no media, and claims not to be a media company at all. This refusal to accept responsibility as a media company created a vacuum thieves, trolls and spies rushed into. Can This FB Be Saved? Without user-generated traffic, Facebook’s data centers are boat anchors. Knowing this, the company is belatedly trying to get into media with things like Facebook Live, which stream shows no TV network will put on and music streaming. The problem is there’s nothing unique here. Facebook stock is walking right into markets dominated by Apple and Google, without a unique offering. The company’s efforts to save itself from trolling are also killing publishers who had come to depend upon it, and CEO Mark Zuckerberg’s efforts to turn the ship around are running into the buzz saw of his own corporate culture. If FB fell in a forest would it make a sound? 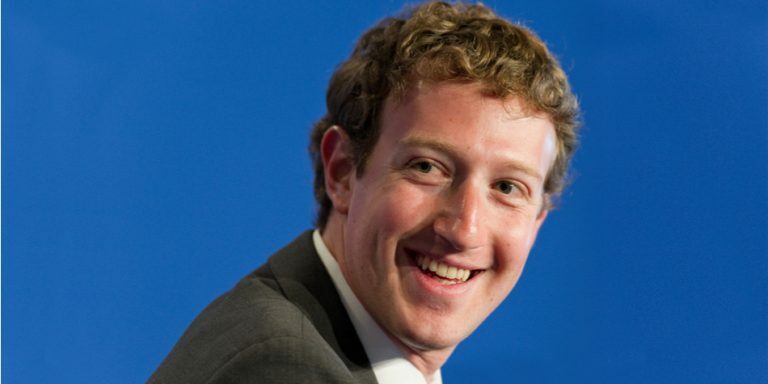 Most InvestorPlace writers still love Facebook stock. It remains a buy, writes Luke Lango. Laura Hoy agrees. Even Chris Tyler, while calling for a correction in the FB stock price, isn’t yet ready to throw in the towel. But Facebook’s enormous capital expenditures are uniquely vulnerable to disruption. It offers nothing that people can’t live without. How is it going to fill $16 billion in new computing capacity when its services are losing their hold on the audience? And if Facebook stock must hustle for something to fill its clouds and network pipes, what will that do to the other cloud players? A cloud crash may be coming. Dana Blankenhorn is a financial and technology journalist. He is the author of the historical mystery romance, The Reluctant Detective Travels in Time, available now at the Amazon Kindle store. Write him at [email protected] or follow him on Twitter at @danablankenhorn. As of this writing, he owned shares in MSFT and AMZN. Article printed from InvestorPlace Media, https://investorplace.com/2018/03/facebook-inc-fb-stock-is-stuck/.